A hardened structure was constructed to house a data center and machine room. The building is located east of the 45/46 Bypass and north of Tenth Street at the former University School site on the IU Bloomington campus. 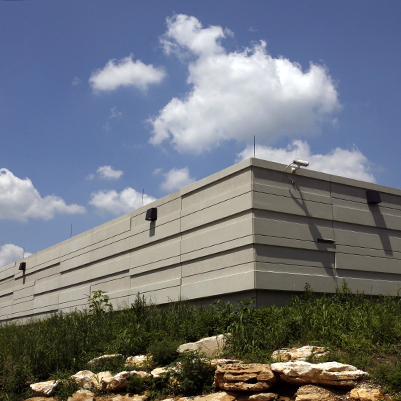 The facility was built with sufficient structural strength and other features needed to withstand natural disasters such as tornadoes, earthquakes, and floods, as well as scenarios such as sabotage by acts of terrorism. The cooling and power systems within this building have the flexibility to change over time if more cooling or power is needed.